Gunslick Pro has an industry wide reputation for quality cleaning products at an affordable price. Gunslick Pro is owned by ATK, the manufacturer of CCI, Speer and Federal ammunition. 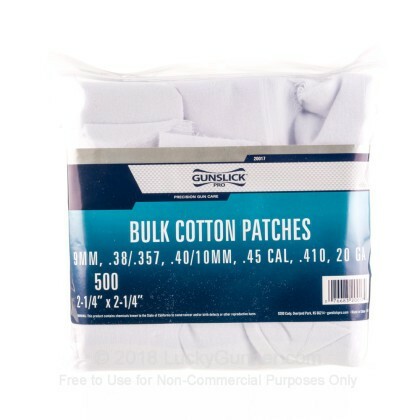 Cotton patches effectively remove copper, lead and plastic. 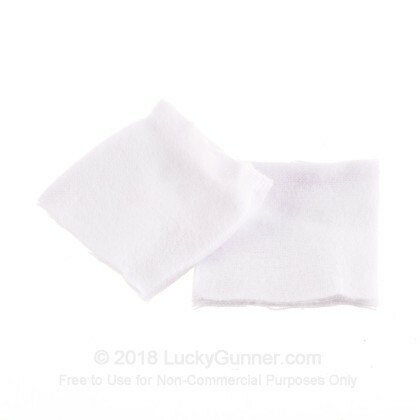 They also boast greater absorbency to aid in the transfer of solvent from bottle to barrel! 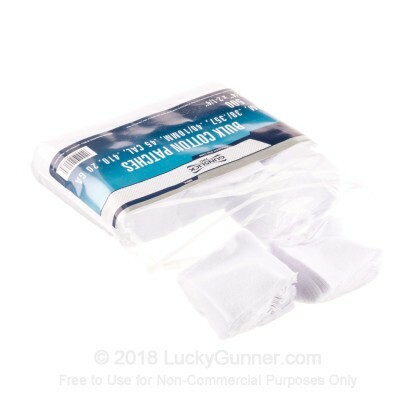 Cleaning your gun regularly and keeping it lubricated will help maintain the value and workability of your gun for years and Gunslick has what you need!